Amway Launches Their 1st Factory in India By Spending Rs 550 Cr; Is Network Marketing Going Mainstream? Multi-level marketing company Amway, which had reported revenues of $10 billion last year, has opened their first factory in India. As per reports, they spent Rs 550 crore for creating this factory, which is their 3rd such plant outside US. Located at Nilakottai in the Dindigul district of Tamil Nadu, this factory was inaugurated by Tamil Nadu chief minister J Jayalalithaa. Amway’s other two non-US factories are situated at China and Vietnam. Amway had recently allocated $335 million for global expansion; and out of this budget, they spent 30% in India itself. As per available reports, this factory can churn out 1.2 billion edible tablets and soft-gel in a year; 7 million canisters of drink mixes; 19 million cosmetic jars and bottles and 60 million tooth-pastes in a year. Amway has considered generating alternate energy from this factory, as the roof-top solar plant installed here is the one of the largest in the state. They are aiming to conserve 30-50,000 cubic meters of rain water every year and will be empowered to discharge zero waste. Network Marketing Going Mainstream In India? Amway has made it clear that they want to make their business model of using multi-level or network marketing as mainstream in India. As per their officials, this single factory in Chennai will provide indirect employment to 3000 people; and direct employment to 400 people in the region. Overall, more than Rs 800 crore has been invested by Amway in India which includes MoU worth Rs 300 crore with SIPCOT, Government of Tamil Nadu. As per Amway India CEO Anshu Budhraja, this new plant can be effectively generate Rs 6500 worth of products to meet ‘needs of India consumers’. Right now, there are more than 550,000 active Amway members globally. Future of Amway in India? Several prominent bloggers, economists and business-men have termed Amway as a giant scam, considering the fact that they deploy network marketing as their primary business model. In 2013, Amway India Directors were arrested by CID over charges of fraud under section 420 of Indian Penal Code (cheating) along with sections dealing with chit funds and the Prize Chits and Money Circulation Schemes (Banning) Act, 1978. 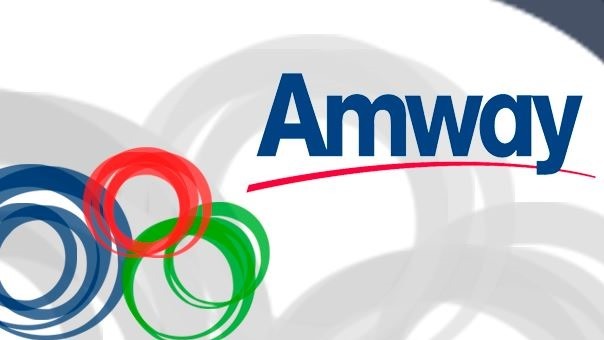 At that time, Amway had expressed shock, and had said that allegations mentioned in the FIR are frivolous and gives a misleading impression about their business. Amway pleaded that their business model is being mis-interpreted and an amendment was required in the Indian laws to understand their operations. What is your take on Amway? Will this new factory in Tamil Nadu legitimize their business model and make network marketing an approved, legal business model? Have you ever used an Amway product? Do share your views and opinions by commenting right here! "Amway Launches Their 1st Factory in India By Spending Rs 550 Cr; Is Network Marketing Going Mainstream? ", 5 out of 5 based on 7 ratings. 80% Of Mobiles Sold Are Make in India; Rs 3 Lakh Crore Saved! Patanjali Declared As India’s Most Trusted Brand; Beats FMCG Czars Like HUL, ITC! Some of my known friend are associated with Amway chain and I guess they are happy with the profit they are generating.